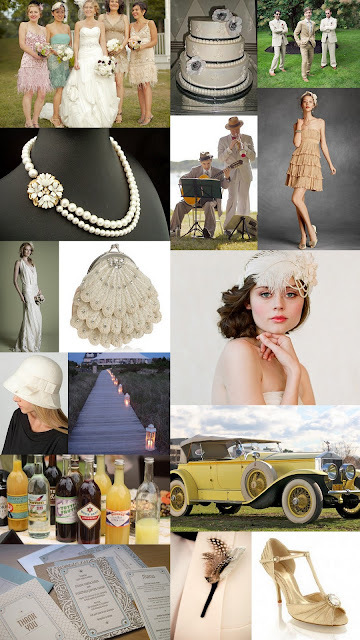 Today, we pay tribute to the 1920's with an inspiration board perfect for all you Gatsby lovers. The Great Gatsby has been one of our favorite books for years and, with the new Baz Luhrmann movie (with an all-star cast!) rumored to begin shooting this September, we can bet we'll see a resurgence of 1920's fashion and style in the upcoming year. So, break out the art deco, pearls, feathers, drop waist gowns and cloche hats and create an extravagant and lavish look that would be sure to please even Gatsby himself.